Dn N Drty Towing provides Medium Duty Towing and Recovery services in Lake and McHenry County, Illinois and Genoa City, WI. The team at Dn N Drty Towing believes in sending the right truck for the proper situation. We are among the best in medium duty fleets for the Northern IL and Genoa City WI marketing. Dn N Drty Towing is on the road daily towing a wide array of vehicles including cargo vans, 16 passenger vans, step vans, small buses, tractors and utility trucks. Towing medium duty trucks with a light duty truck conflicts with many safety concerns and can often result in expensive damage and repairs. At Dn N Drty we do receive calls for vehicles to be towed by our flatbeds and wheel-lifts, some of those vehicles may be too heavy. For this reason, we have a selection of tow trucks to tow medium duty vehicles. 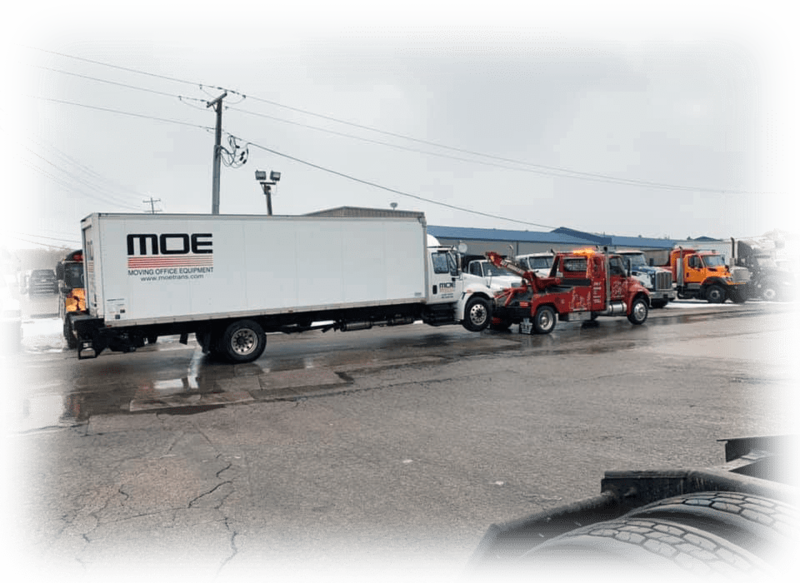 Our fleet of trucks are available 24 hours a day, 7 days a week, 365 days a year to handle all of your medium duty towing needs.